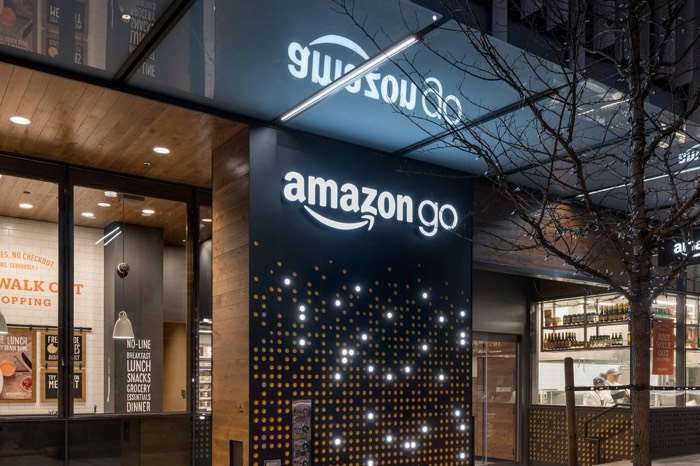 Amazon is testing out its checkout free Amazon Go stores in the US and now it would appear that the company has plans to launch the stores in the US. According to a recent report by Bloomberg, Amazon has filed a number of trademarks in the UK with the slogan “No Lines. No Checkout.” and “No Queue. No Checkout.” which suggests that they have plans for Amazon Go in the UK. Amazon Go has not checkouts, when you place an item in your basket it is charged to your Amazon account, then when you out that item back on the shelf, the charge is taken off your account. Amazon started trailing the system in the US last year and at the moment only Amazon staff are testing it out.